Cuban state media released the first photographs of former president Fidel Castro in nearly six months in a bid to quiet rumors that his health is failing. 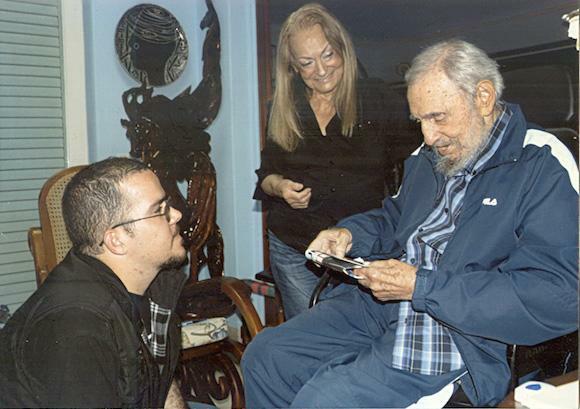 The images showed the 88-year-old Castro at his home along with his wife Dalia during a meeting with the leader of a students' union, and were published in the state-run newspaper Granma and other official media. Castro had remained quiet publicly after the United States and Cuba announced in December that they were going to restore diplomatic relations after a half century of enmity stemming from the Cold War. That silence prompted chatter on social media and in foreign media that Castro was sick or even had died.